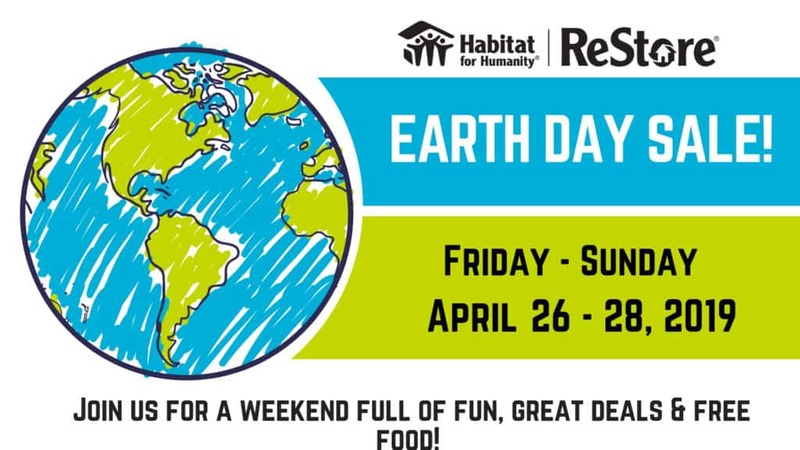 Celebrate Earth Day with Chesapeake ReStore all month long! Join our efforts to help keep Central Maryland a cleaner place by reusing, recycling or donating household items you no longer need. Donate your unwanted household items to any of our 6 locations or schedule a free pickup here. In addition, our Chesapeake ReStores will also host a special Earth Day sale Friday, Apr. 26- Sunday, Apr. 28, offering 20% off all items at all 6 locations! You can also drop by for hambergers and hotdogs on the grill*! This discount will apply to every piece of furniture, appliance, house ware, paint, flooring, cabinetry, and anything else you may need for your home. Let Chesapeake ReStore help you save big with your Spring or Summer renovations this year. For more information on Earth Day fun Follow us on Facebook!